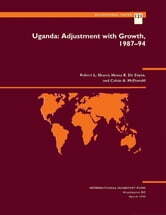 This paper explores not only the recent adjustment efforts but also the prospects for Uganda in the medium term. It provides an overview of recent economic performance with respect to growth, saving, and investment, and provides an analysis of Uganda's external adjustment efforts. The paper surveys fiscal adjustment and the prospects for a sustainable fiscal position, public enterprise reform, and army demobilization.